The plant can be supplied in two basic designs. You can choose either with or without technical room. The room is also possible to equip with fire isolated walls. Of course you can have one or two pumps. Manufacturer of pumps and card terminal is a freely choise. View a selection of models below, do you miss any model please contact us. 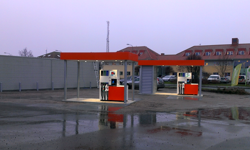 Security, flexibility and quality are the key words for Malte Perrong Unit. The discreet design also allows the unit becomes easy to position. 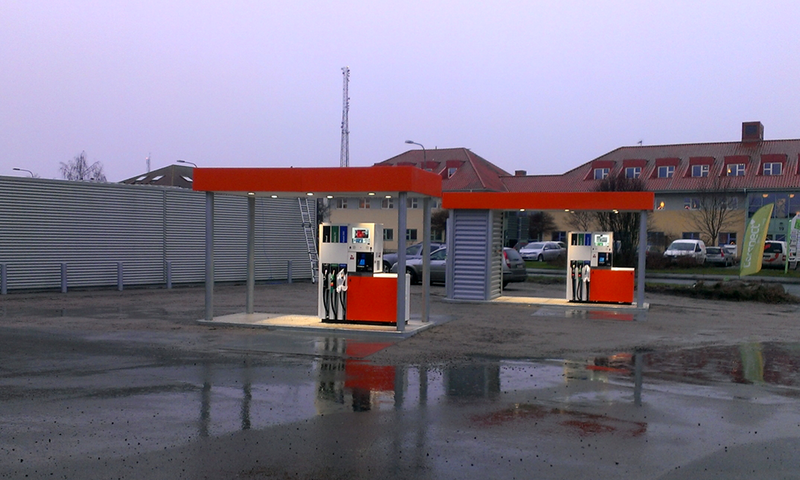 Malte Perrong Unit is fully comparable with traditional fuel stations, with characteristics and flexibility according to the needs of today. The unit without tecnical room gives an airy character and create accessibility to the pump and card terminal. This can be placed to complement the Perrong Unit with technical room, or if you have, for example, a store next door. The discreet design also allows the unit becomes easy to position. 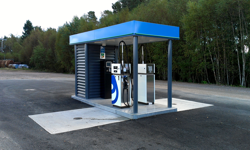 Malte Perrong Unit is fully comparable with traditional fuel stations, with characteristics and flexibility according to the needs of today. With technical room the plant becomes a complete station when connected to a tank. The outer dimension makes it easy to place and technical room can contain electricity panel and equipment for level measurement and station computer. Even modems, sanitizers, cleaning equipment and some extra receipt rolls can be good to have in place. Or why not salt before the winter season.